– do you feel restricted by the clutter in your home? – do you want to move forward in your life instead of living in the past? – are you ready to downsize? 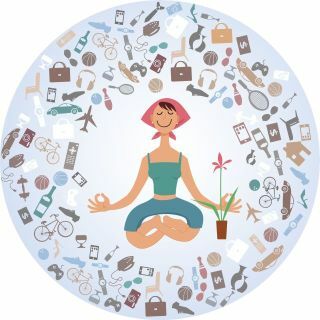 – is clutter ever suffocating your life and soul? If your answer is yes to any one of these questions above, it could be time to book a Clutter Clearing Consultation. It’s the stagnant energies that accumulate around clutter that can make you feel stuck in life. Clearing them helps free up your energy, brings you more clarity and helps you to get your life moving again. Clutter Clearing is spring cleaning on a deeper level and with longer lasting results! It helps us move towards our dreams and goals by making space in our lives for the things that are most important to us. It can be an uplifting and life-changing experience! During this hands-on process we will sort through your things and find out if you still want it, love it, and use it or if you maybe are ready to let it go. You will learn techniques that give you structure and you can use for the rest of your life when you are clutter clearing on your own. We go deep to find out why you (still) have it, which will allow you to make much easier, and better-informed decisions about what to keep and what to let go. Don’t worry, I will never tell you to dispose of any item! What I will do is advise and help you to gain insights about how the clutter is affecting you (and your loved ones). In the end, the final decision about whether you keep or dispose of any item will be entirely yours. I will help you understand why you feel the need to accumulate the clutter in the first place so that you will know how to prevent it all piling up once more. My friend and fellow Clutter Clearing Practitioner Annette Kurtz has been featured on the Nevada Business Chronicles and this video gives you a good idea what happens during a Clutter Clearing Consultation. Click here to watch it. A Clutter Clearing Consultation is an Investment in yourself. You will learn techniques you can use for the rest of your life and you will gain lots of insights and clarity. Here are my standard Clutter Clearing Consultation Option. Included in the price are materials like boxes, labels, garbage & recycling bags etc. No charge for travel time or km-fees in the Mission/Maple Ridge/Pitt Meadows area, please contact me for a quote for outside this area. Choose this option if you have quite a bit of clutter and you would like to dedicate a whole day to clear it. Choose this option if you have a lot of clutter, feel overwhelmed and don’t know where to start. Together we make a clutter clearing plan and tackle it bit by bit. Conny will meet you where you are, without judgement. I participated in a 5-days of decluttering challenge Conny held in her Facebook group. I found it inspiring and helpful. The best thing was - it was in bite-size pieces. I could see by the way she presented this challenge, that she knows what she’s talking about. I also love that she reaches out to get her finger on the pulse of your specific needs. Conny will meet you where you are, without judgement. 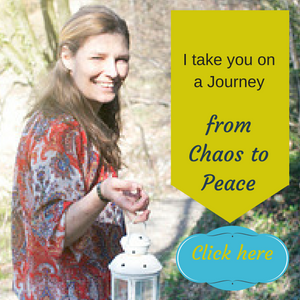 I strongly recommend joining her Facebook group from chaos to peace and enrolling into any of her programs. She’s delightful. Having a live-work space that is organized and tidy is energizing and not as difficult to achieve if you follow Conny's tips. Clutter can be overwhelming and starting small can yield big results. I took the advice to tackle one thing like a drawer and corner for ten minutes and that set a tone. Next thing you know, bags of clothes, unwanted knick-knacks and papers were out the door and what was left was manageable. Having a live-work space that is organized and tidy is energizing and not as difficult to achieve if you follow Conny's tips. She really listened to me and guided me through an awesome process to clear some “problem” areas in my home, the areas that bothered me the most. Conny was very kind and supportive during our time together. She really listened to me and guided me through an awesome process to clear some “problem” areas in my home, the areas that bothered me the most. She made sure I stayed focused on task and offered solutions for anything I had questions about. I definitely have tools and processes I can use moving forward on my own. I have tools and processes I can use to make smaller adjustments on a daily basis in order to keep areas clear and tidier. I started with Conny's challenge for my office with the zones. I have used the zones for getting organized and clearing flat surfaces. Now getting the systems in place is great to keep it clear. Zones are working for my kitchen, bedroom and personal desk as well as all shelves and floor space are being honoured. Thank you Conny.